Shirat Ayam Settlement, Gaza strip Israel, Aug. 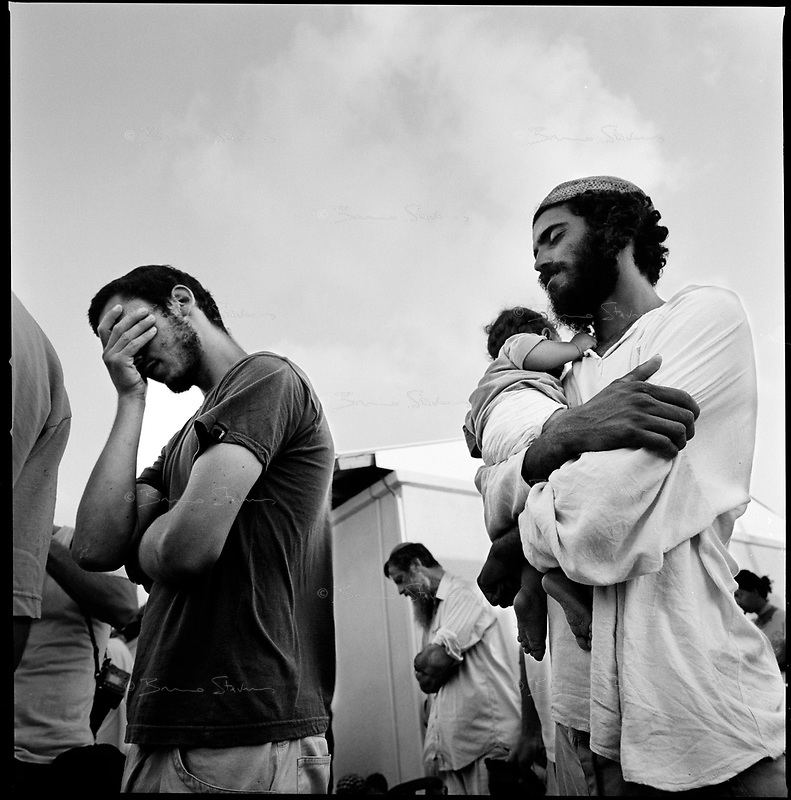 2005..The last evening prayer in the settlement before its evacuation. Tomer and his son.